Imagine that you have done work for your company, but never paid for it. After weeks of asking the boss for your pay, you decide that, if your boss won’t pay you, you’ll simply take X amount of tolls from a worksite that are worth the cost of the pay you should have received, and sell them instead. The simple answer is “no.” You cannot sell off someone else’s property to make up for your loss; that is theft. As with most legal issues, however, there are exceptions. There are times when another person’s assets can be sold, provided the seller has the legal authority to do so. Without legal authority, the sale of another person’s assets is a crime. The person who makes the unauthorized sale will almost certainly, along with a conviction, be ordered to pay restitution for the value of the items that were illegally sold. Someone with a judgment. A judgment creditor wants to be paid his/her legal debt. Judgments can arise due to a contract which isn’t honored. A personal injury claimant whose claim isn’t fully paid through insurance can proceed to collect the judgement against the wrongdoer. Typically, the judgment creditor will work with legal counsel to first determine what the debtor’s assets are. The creditor and lawyer will then work with the sheriff’s office to arrange a sale of the assets. The amount collected is offset against the debt. The amount of court costs and sheriff’s fees must be accounted for, too. A creditor who has a secured interest in property. A secured creditor can sell the secured asset if the debtor fails to pay the underlying debt. There are laws, though, that regulate how the seizure of the asset can legally proceed. A mortgage holder, for example, can’t sell your Tennessee home unless numerous steps are taken to give you a chance to pay what you owe. Creditors who do seize an asset such as a car must comply with Tennessee laws on where, how, and when the sale of the assets can take place. Most seizures and sales must be done publicly. A mechanic’s lien. In some cases, such as when a car repair shop works on your car, the car repair shop can hold your car to make sure you pay the repair bill. If the debtor doesn’t pay in time, the car ship can then sell the car. Again, certain formal procedures must be followed to protect the debtor’s interests. An apartment complex or landlord. A property owner may be able to sell property you leave behind when you move – if you still owe on the rent and if proper procedures are followed. If the property is determined by a court to be abandoned. Someone in possession of abandoned property does normally have the right to sell it. The hard question is defining the word “abandonment.” A person abandons their property if they give up ownership rights. Whether someone actually gave up their ownership rights is determined on a case by case basis. It is not legal to sell goods that you know or should have reason to know are stolen. It is not legal to sell someone’s property because you claim he/she owes you money – but you don’t have any legitimate claim to that property. 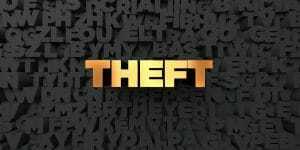 Anyone who sells someone else’s property without the owner’s consent and without legal authority can be charged with theft, depending on how they acquired the property. If someone takes the property of another and destroys it, the person could be charged with vandalism. If you are charged with any crime because you sold someone’s property without his or her consent, you may have defenses. The sale may be justified. At Delius & McKenzie, PLLC, we have been fighting for criminal defendants for nearly 20 years. To speak with an experienced Sevierville criminal defense lawyer, please call us at (865) 428-8780 or fill out our contact form. We represent the accused in and around Sevierville, Seymour, Gatlinburg, and Pigeon Forge, Tennessee.